If you're here for the skiing you'll be interested in La Grave, one of France's most picturesque villages and just a 30minutes cable car up to the glaciers at 3200m, Ancelle, Chateaurox-les-Alpes or Serre Chevalier. As well as downhill skiing, the Hautes-Alpes, and specifically the Parc Naturel Regional de Vecors, is a a fantastic place for cross-country skiers. 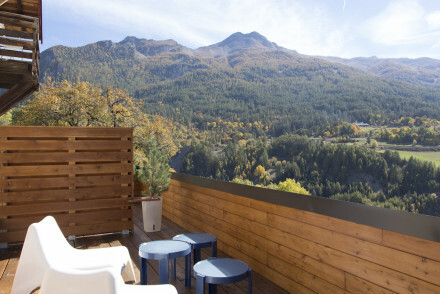 So many of the best places to stay in the Hautes-Alpes are geared towards outdoor style breaks. If you're interested in more than just the slopes, Briançon is one of the largest centres in the Haute-Alpes, and also Europe's highest city. It's a fairytale place only accessible by those brave enough to travel the hairpin shaped roads teetering around glaciers, sheer cliffs and peaks, and as the temperature warms, thundering waterfalls. Briançon is worth the risky-drive though, the old town within its beautiful walls, built in the 17th Century to protect it from the Austrians, is surrounded by spectacular scenery. This is the ski resort to come to if you want thrilling runs in the mornings, then a run through history in the afternoons. There's even a ski-in ski-out museum installation telling the story of this city and the men who made it great. If you're planning your visit during the peak winter months, the best places to stay in the Hautes-Alpes get very busy, so get organised and book early. The same can be said for July and August when the region is a haven for hikers and bikers alike. The Auberge du Choucas is in the heart of Les Monetier las bains, just minutes from both the ski slopes and the thermal baths. The auberge has a traditional French feeling - and it should, it dates back to the 1650s! This quiet spot is a great place for serious skiers, who want to play amongst the 250kms worth of piste in the Serre Chevalier region. It'a also a great spot for foodies. Chalet Mounier is located in Les Deux Alpes and enjoys an enviable location just 150m from two lifts. Plus the food is outstanding and there's a great spa for relaxing over-worked limbs after a day on the mountain! 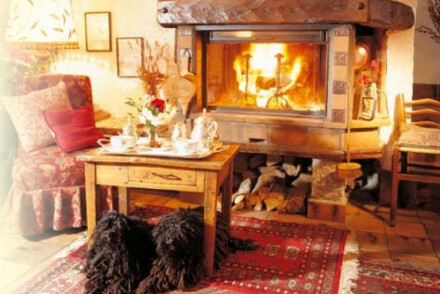 The Hotel de la chaussee, is a cosy, chalet style hotel set within a National Park, just outside Briançon. The 14 rooms have plenty of alpine character, there's a terrace with spectacular views and their restaurant serves wonderful regional dishes. As well as being well located for a spot of skiing, or hiking, there's plenty of other adventures to be had around here. The Chateau de Picomtal is a beautifully renovated chateau B&B with stately interiors and stunning views over its own grounds. There are just four rooms and five suites - some sleeping up to four, and there are lots of public salons, so plenty of space to work or play. Still not sure which is the best place to stay in the Hautes-Alpes for you? Browse through our list of all the best places to stay in the Hautes-Alpes, or contact one of our friendly Gurus for advice. A cosy hotel set within a National Park. Rooms are full of character with wooden panel walls, beams and alpine furnishings. 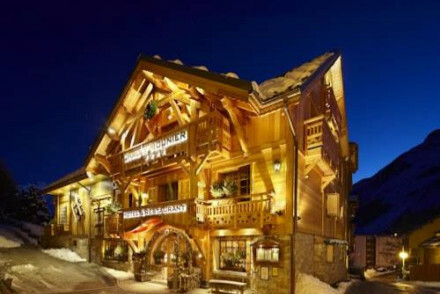 A terrace to enjoy spectacular views, superb regional dishes, and minutes from ski lifts and walking routes. Family friendly, great value, and lots to do in the mountains. 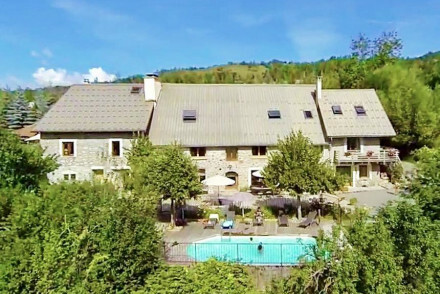 In the heart of Le Monetier les bains, minutes from both the ski slopes and the thermal baths. The auberge dates back to the 1650s and the rooms are decorated in traditional french style. Great for foodies and those who like their winter sports in a quieter location. Restaurant - Gastronomic restaurant featuring fresh local produce. A cosy Alpine hotel in a renovated farmhouse with spectacular mountain views. Homely, ensuite bedrooms look out onto the garden, where a fusion dinner is served al fresco at the guest's table. Enjoy a vista of the Alps from the stunning outdoor jacuzzi and heated pool. A hidden gem of a guesthouse. A chalet-style cottage surrounded by pretty mountain walks and great views. Cosy interiors feature scandi-style decor, exposed wood and comfy furnishings. Elegant rooms are in a stylish palette of navy and slate greys, with hip modern fittings. The delightful gourmet restaurant is a highlight. 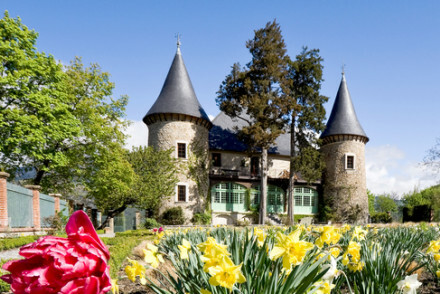 Wonderful renovated chateau B&B with lake views and stunning grounds. Stately interiors; chandeliers, Venetian mirrors, stained glass windows and wooden beamed ceilings. Lots of salons for meetings and conferences, and suites that sleep up to four. Fresh air for groups, families and conferences. A cosy chalet with views of Écrins National Park. 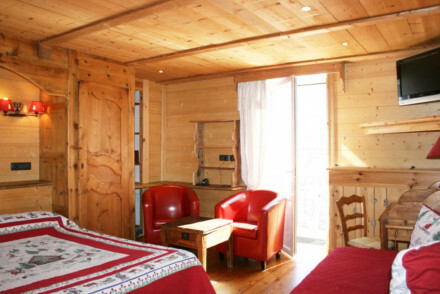 Rooms have wooden panelled walls, Alpine decoration, and colourful bathrooms. Indoor and outdoor pool, terrace, full spa and hot tub. Superb food in the Michelin starred restaurant and an elegant bar area. A charming spot in the mountains. A sublime hotel in the highest village in Europe. With modern, comfortable interiors, L'Alta Peyra does not try and out do the vast beauty of its surroundings. Absorb the fantastic views on the sun terrace with a glass of wine or relax in the sublime spa. An exceptional alpine retreat. Active Holiday - Perfect for skiing, mountaineering and moutain biking. Great walks - Walk along stunning alpine trails from Saint-Veran.